Opera haters, you’re missing out. 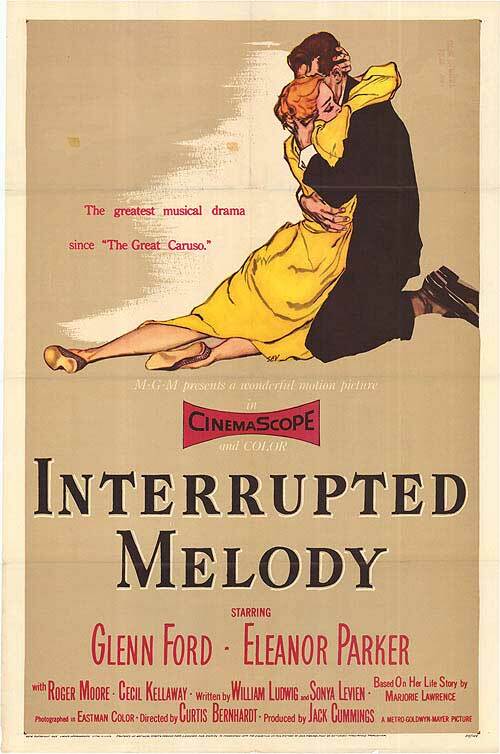 I went on a crazed movie purchase binge recently, and now the 1955 film Interrupted Melody sits atop my T.V. (Does anyone put their DVDs back in the cabinet? Really? Okay, never mind). Finally! This film is seriously underrated. Based on opera singer Marjorie Lawrence’s memoir, it recounts her rise to, and later, her fall from fame after she contracts polio. Eleanor Parker was nominated for an Academy Award for this role, and with good reason: her performance was gripping, emotional, inspiring. 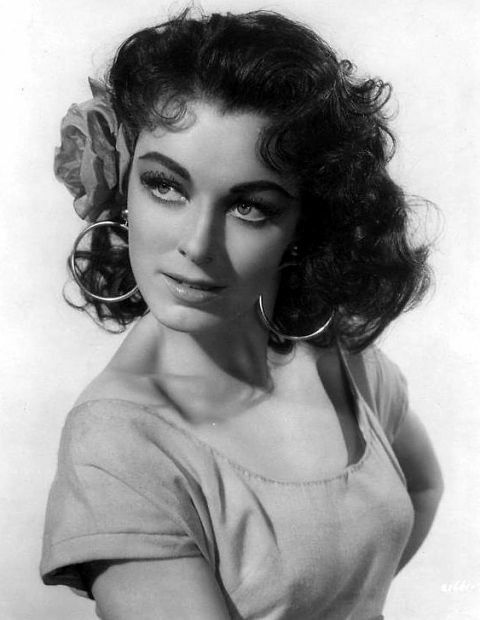 Parker as Dalila in a scene from Saint-Saëns’ opera Samson et Dalila. 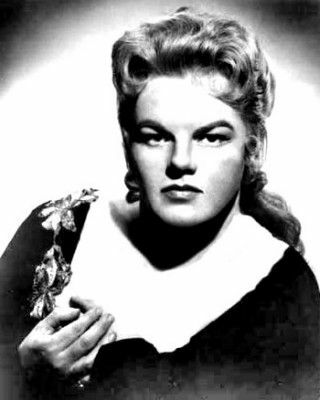 Parker’s voice was dubbed by Eileen Farrell, who insisted on going uncredited for the score. Something to do with Marjorie Lawrence wanting to sing the score, and the producers not, and Farrell not wanting to steal her thunder. Pretty selfless if you ask me. I read that Parker actually sang on set to make the scenes more realistic. It worked. All of the opera scenes are spectacular, but their collaboration on Carmen was my favorite. 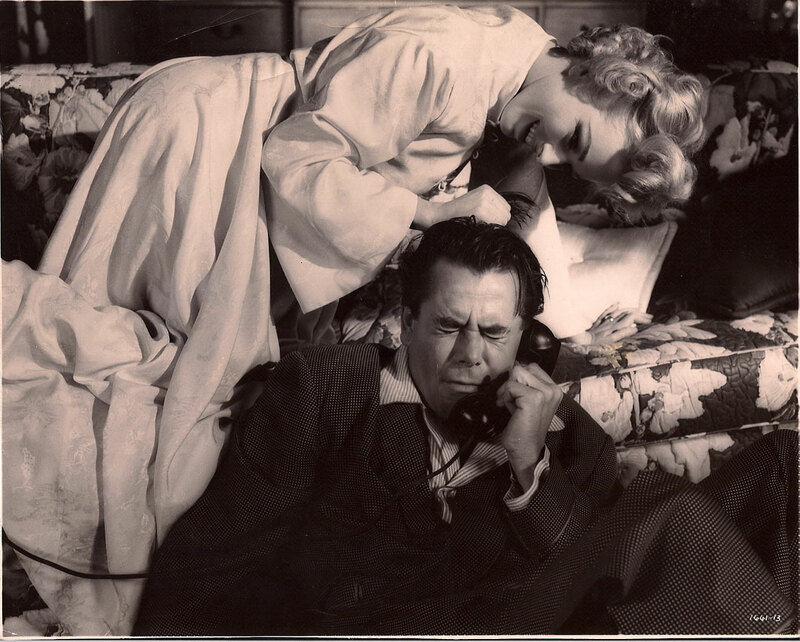 Glenn Ford also delivered an excellent performance as Thomas King the doctor, Lawrence’s love interest. But his character grated a little on my nerves. He bordered on sexist at times, wanting her to stay home as much as possible and make babies, wanting her to sacrifice her 6 month tour (which isn’t that long), the opportunity of a lifetime, to keep him company. And the film seems to agree, because she contracts polio during the tour. “I’m such a fool,” she says, weeping, as Tom gazes down at her immobile form. As if to say, if she had just stayed home and made babies with Tom like a good wife should, instead of gallivanting all over South America, this would have never happened. Hello! When you’re a world-renowned opera singer at the height of your career and love what you do, some compromises have to be made. Now don’t get me wrong, I’m sure it’s challenging being spouse to a celebrity. She made sacrifices. He just didn’t appreciate them. But I digress. I haven’t read the book, so I don’t know when she contracts polio. Therefore, I can’t assume anything. Plus, later on he makes up for being a jerk. On doing research, I discovered that Eleanor Parker passed away this past December. She was 91. The Baltimore Sun wrote a short but warm tribute on her passing.